In celebration of National Volunteer Week (April 10-16), we wanted to profile someone who personifies the True Sport Principle “Give-Back” – Evan Chamakese – Community Leader and True Sport Champion. 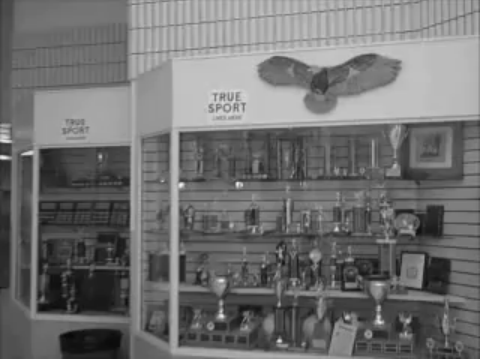 As a True Sport Champion and a member of the Pelican Lake First Nation, Saskatchewan, Evan Chamakese has witnessed the power of good sport within his own community. Evan, 26, has been teaching physical education, wellness, and computer programming at Pelican Lake First Nation School for the past five years. Through his roles as a teacher and community volunteer, he continues to find new ways to give back to his community and to his people. After completing university in Saskatoon, Evan returned to Pelican Lake and immediately began coaching. “I’ve always lived an active, healthy lifestyle,” says Evan. “I’ve always been considered a leader, so jumping into coaching was a natural step. I wanted to give back to the community and help out as much as I could.” Track and field, badminton, volleyball and cross-country running are just a few of the sports that keep him coaching year-round. Evan doesn’t know the meaning of spare time. On top of being a teacher, coach and the proud father of a four-year-old daughter, he also volunteers with a number of organizations. “I have volunteered with Motivate Canada in the past. I was a member of the Active Circle advisory committee for two years and I was actually the chairman for a little bit,” says Evan. “Active Circle is a partnership between the Aboriginal Sport Circle and Motivate Canada. It is geared around aboriginal views and helping create opportunities whether it’s by providing funding to train coaches or leaders.” In addition, Evan sits on the Assembly of First Nations (AFN) National Youth Council providing a voice to youth-related issues and actively ensuring that AFN initiatives are more reflective of youth values and input. The leadership camp has been a big success and has been offered for the last two years. The camp runs for three days and is held at one the campgrounds on the surrounding lake. Throughout those few days, campers learn invaluable skills through a variety of courses, including: Introduction to Coaching, First Aid, CPR, Drowning Prevention and Outdoor Survivor Skills. Evan‘s continuous devotion to good sport and to improving his community is commendable. His desire to improve the lives of the members of his community is inspiring and admirable as is his track record of using good sport to make a great difference. Pelican Lake is lucky to have one of True Sport’s most socially conscience champions.